​Jimmy Little is a legend who is still yet to receive his full due as such. Racism may have played a part in that – although positive discrimination might equally have had an opposite effect; certainly this extraordinary man’s own modesty has always ensured his profile is low – but there’s no doubt that as the first and for many years only Aboriginal star in the the Australian music firmament, he is a seminal figure. ​Now 60, Jimmy Little still occasionally plays the clubs, his powers as a singer and a performer in a country vein no less diminished by age. An old-fashioned artists in that he is an interpreter rather than writer of songs, Little is blessed with a preternaturally beautiful voice- soft, sweet and delicate yet immensely powerful – and the confidence and charism to sell any song he tackles. During the 60s, Little turned often gospel material like “Royal Telephone,” “Old Man River” and “Lucky Old Sun” into pop hits that were indelibly his own. A contemporary of Johnny O’Keefe and Col Joye, he was a club and television staple and one of Festival’s most enduring sellers. 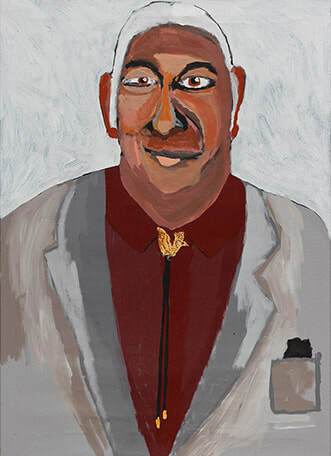 Jimmy Little was born on the Cummeragunja settlement on the Murray River near Echuca in 1937. His father Jimmy Little Snr was himself an Aboriginal legend, a singer who led his own vaudeville troupe up and down the river in the 30s. Jimmy Little Snr was apparently a storehouse of hundreds of songs of every stripe – hymns he’d learnt on the mission, hillbilly songs, Tin Pan Alley and music hall songs, bush ballads, traditional tribal songs – and his son followed in his footsteps. Jimmy first went to Sydney as a teenager in the early 50s, singing Hank Snow songs. Success was almost immediate. Jimmy cut his first hillbilly 78 “Mysteries of Life” for Regal Zonophone in 1956. If at first his appeal, as a cute black kid, was a novelty to white Australia, the simplicity, sincerity and understated elegance of his artistry has seen him through to this day. After five more 78s, Jimmy graduated to the more prestigious Columbia imprint for two 45s, the second of which was a version of his father’s composition “Give the Coloured Lad a Chance,” the first song of its type in Australian music. In 1959, Jimmy appeared in the film Shadow of the Boomerang that evangelist Billy Graham made in Australia, and sang its title song. The original, white Jimmy Little Trio gave way to an all-black band in the 60s after Jimmy joined Festival. His first Top 5 single was “Royal Telephone,” in 1964, ushering in his most successful era. Although Jimmy’s last Top 10 entry was a far back as “Baby Blue” in 1974, he continued to tour and record up until the end of the decade, when he pulled back from music to spend time with his family and work in education. After winning the Aboriginal of the Year award in 1989, Jimmy embarked on something of a comeback. In 1990, he appeared in the Wim Wenders’ film Until the End of the World, and subsequently furthered his acting career with a non-singing part in the Aboriginal opera Black River. Admission to the Tamworth Australian Country Music Hall of Fame as a Living Legend in 1994 pre-empted the release, in 1995, of Jimmy’s first album in fifteen years, Yorta Yorta Man. It proved that the spirit still lives; that in fact, it probably has even better yet to come.